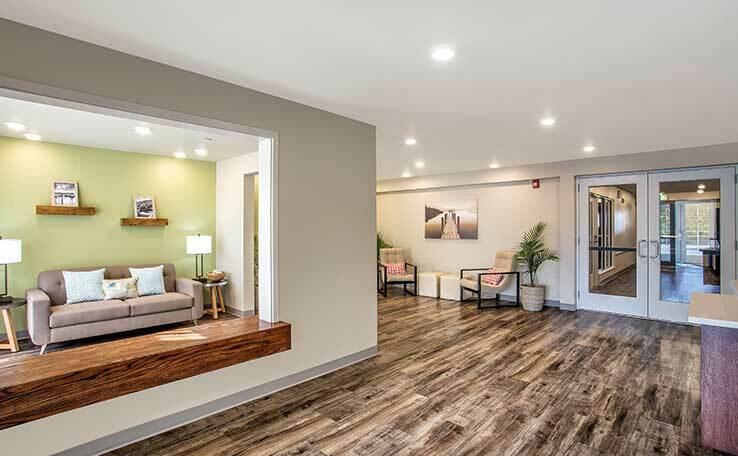 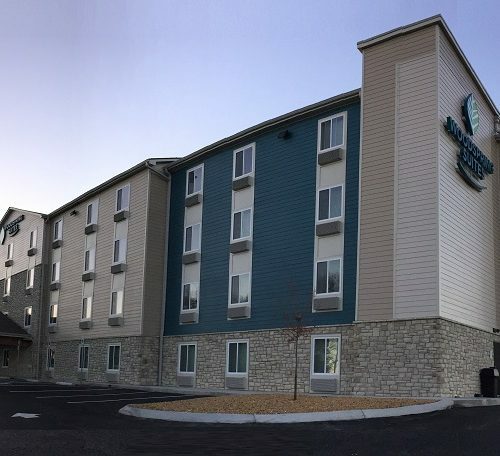 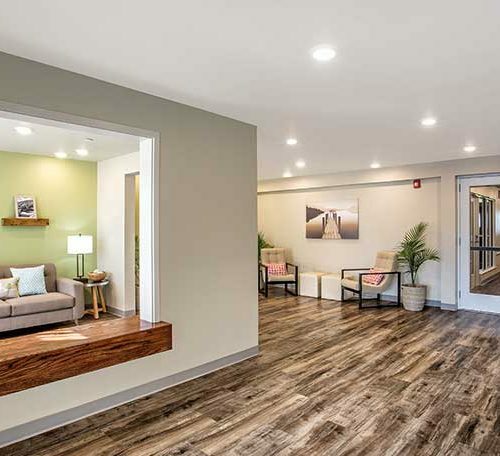 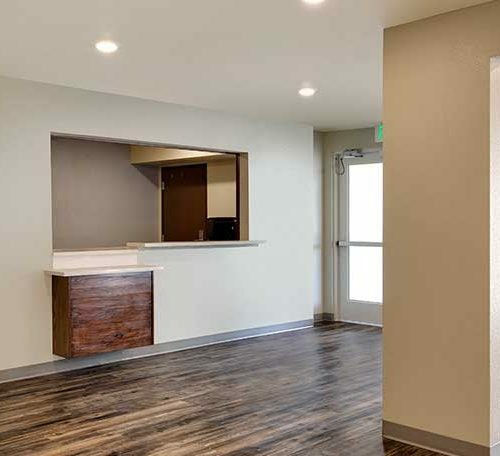 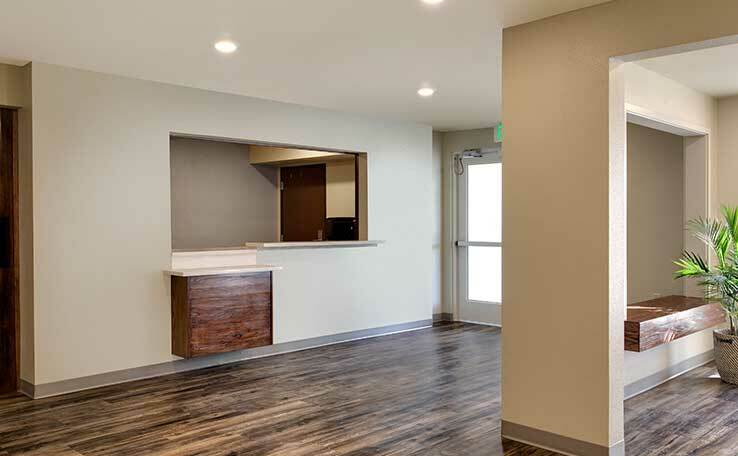 Northeast of Nashville and close to everything – WoodSpring Suites Nashville Rivergate is an extended stay hotel that provides a unique, long-stay guest-focused experience. 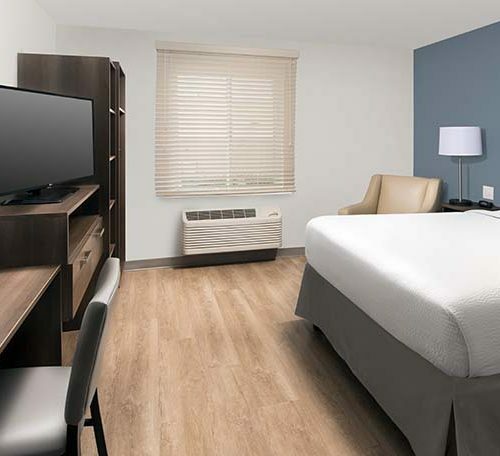 Three suite designs, all 100% smoke-free hotel rooms and all pet-friendly hotel rooms, have queen-sized beds and well-designed in-room kitchens. 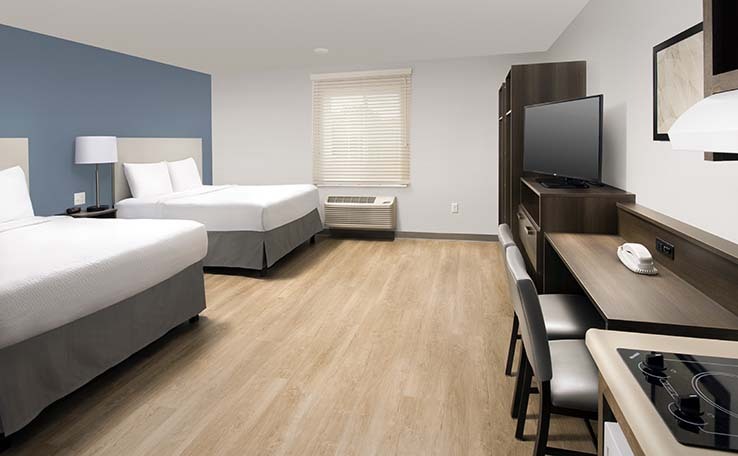 Guests including students, military, government employees / vendors, music lovers, tourists, traveling professionals, and those seeking a home in Madison, Tenn. will all enjoy weekly rates that improve the already-low nightly hotel rates. 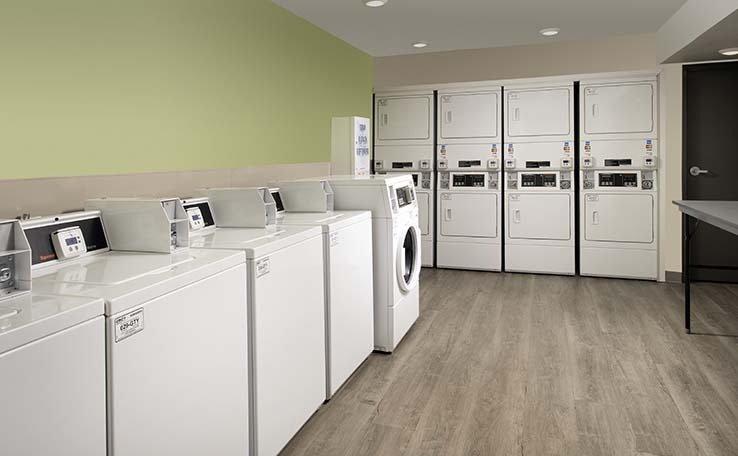 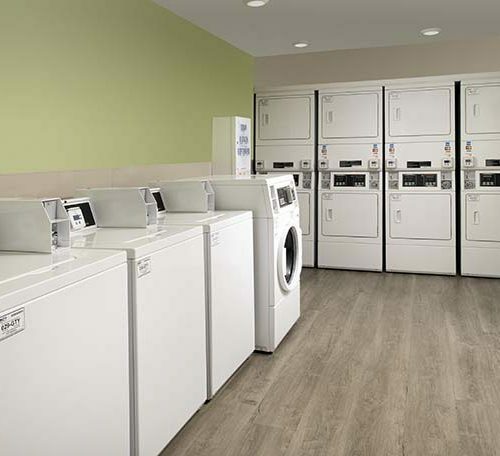 Free parking, free wi-fi, and guest laundry increase guest comfort and value. 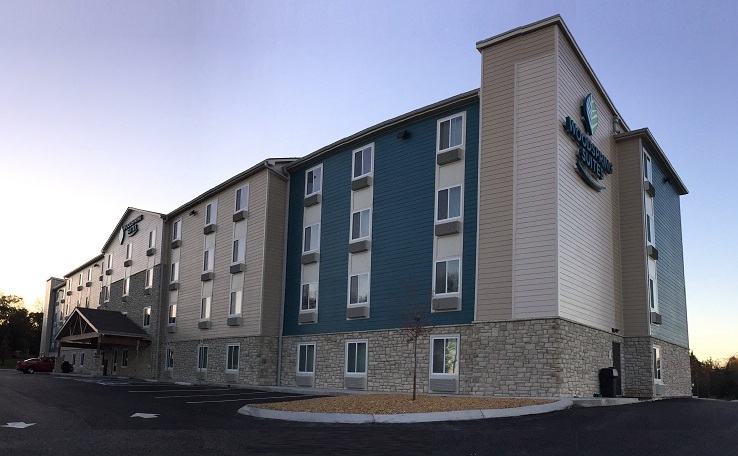 Enjoy the perfect blend of home-like comfort and hotel-like convinience while an extended stay hotel guest at WoodSpring Suites Nashville North in Madison, Tennessee. 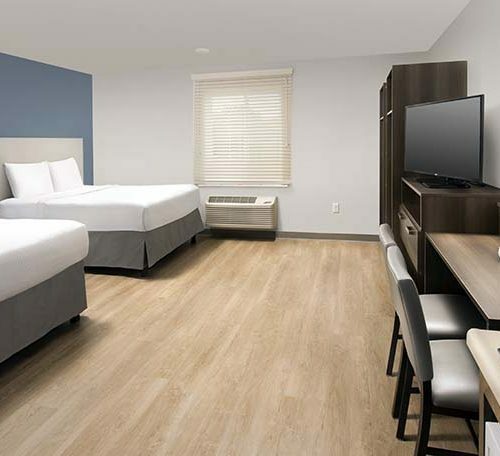 Choose from three different room layouts, all with queen-sized beds and pet-friendly hotel room policies. 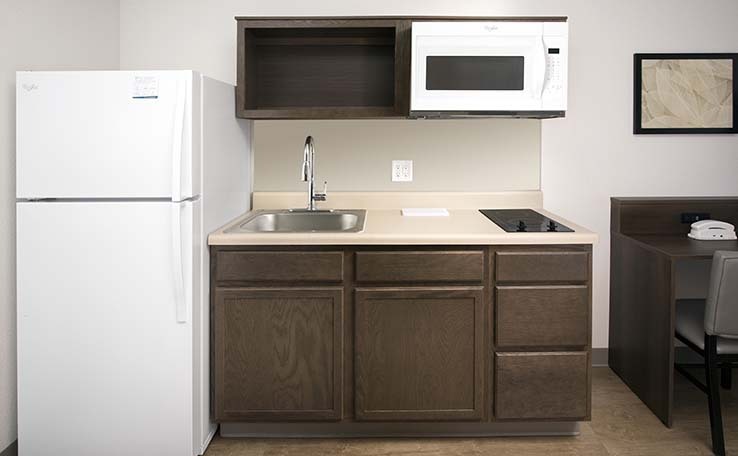 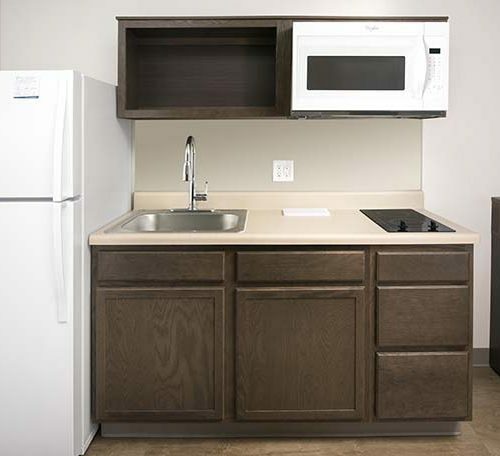 One-to-four guests, depending on the room type, will comfortably enjoy the ease of in-room kitchens that include full-sized refrigerator and freezer, two burner stove, microwave oven, counter and cupboard space, and prep sink. 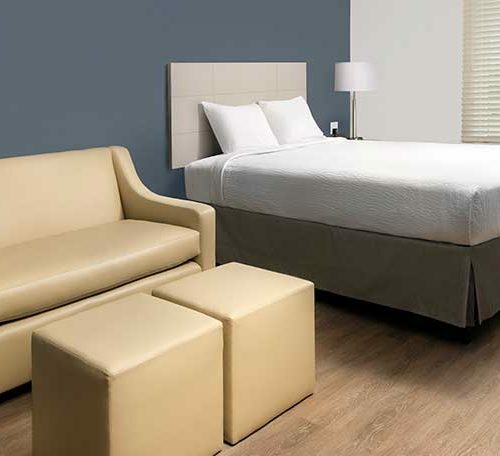 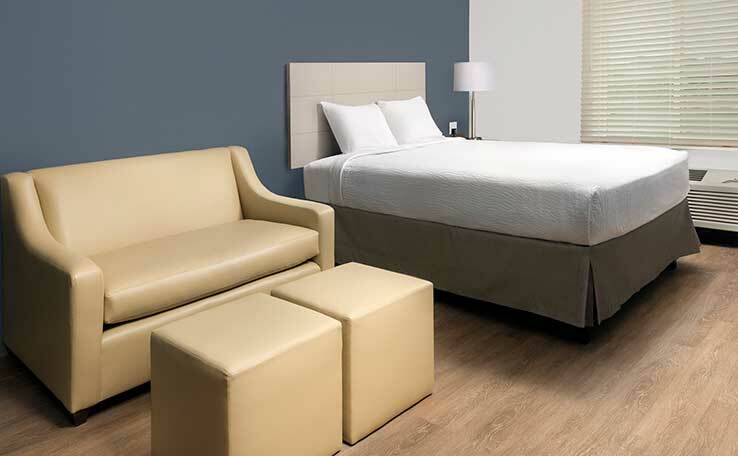 Deluxe rooms feature leather sleeper sofas. 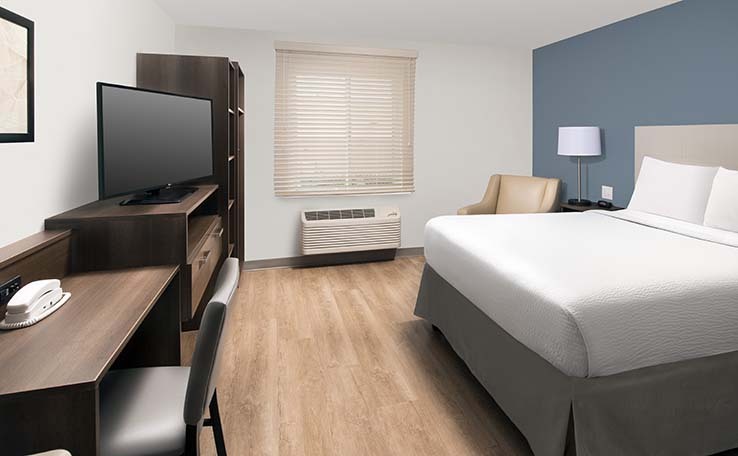 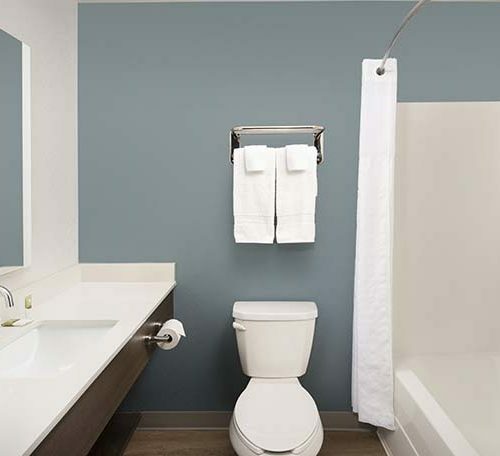 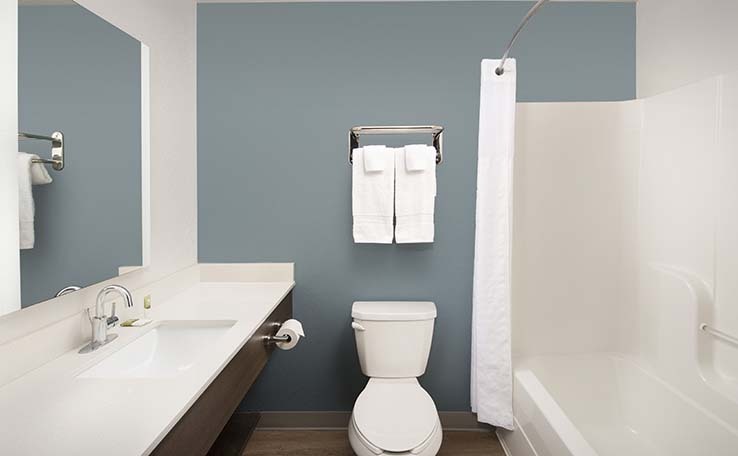 Free wi-fi / free wireless internet, free parking and around-the-clock access to a guest laundry room and vending machines adds to guest comfort.